HAPPY Friday. Please see below. As previously mentioned, let’s touch base to flesh out the minor tweaks of this low hanging fruit – it’s got legs! Sound familiar? This October we celebrated our first year of agency life and wanted to do something creative to mark the occasion. Across the Munch team we’ve worked at many different agencies, big and small, and over the past year have blended our experience to make Munch what it is today – a creative boutique that thinks big. We’ve each brought different things to the table – including, we found, new turns of phrase. And so, as an imaginative team, we thought what better way to celebrate our agency’s first birthday than in a way that both pays homage to the funny language of our industry and gives back to the area we work in at the same time. And so we created a range of tongue-in-cheek charity t-shirts emblazoned with some of the UK’s most used agency jargon. First we ‘reached out’ to agency friends across digital, social, marketing, research and design to develop a list of the most common ‘agencyisms’ – the phrases that many try not to use in meetings and on email, but somehow manage to sneak in all the same. 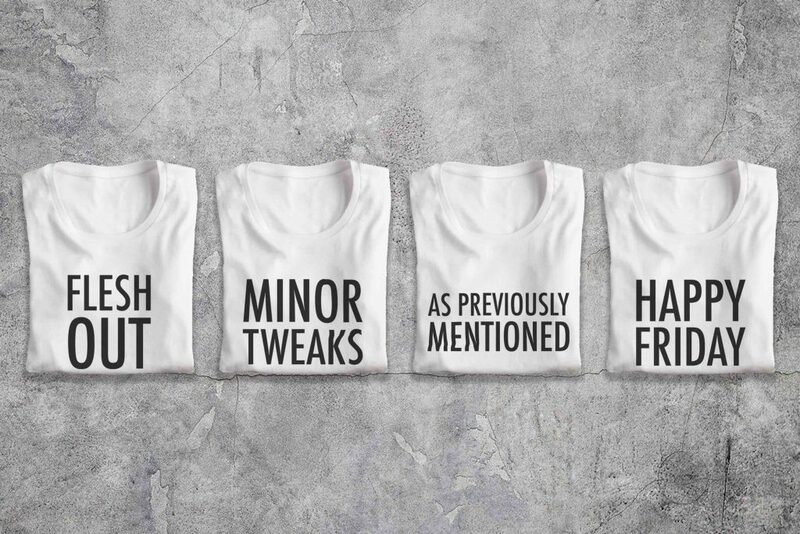 Of the many put forward, we printed the 10 most frequently suggested phrases across crisp white cotton t-shirts. The final cut will be familiar to anyone who’s spent time in an agency before; REACH OUT, TAKE THIS OFFLINE, TOUCH BASE, LOW HANGING FRUIT, GOT LEGS, HAPPY FRIDAY, FLESH OUT, PLEASE SEE BELOW, MINOR TWEAKS and the classic passive aggressive, AS PREVIOUSLY MENTIONED. 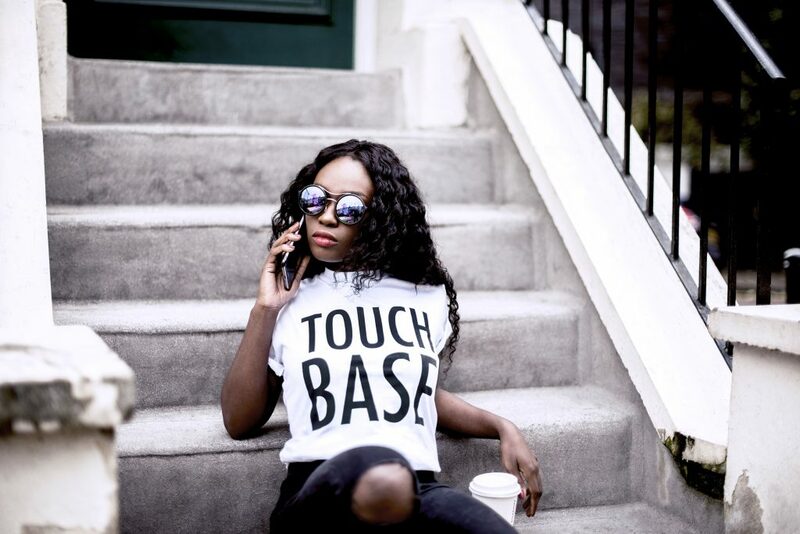 Once created, we took to the streets of Hackney with a local model and local photographer to shoot our campaign shots. We think the unisex tees are a perfect purchase for anyone who works at an agency and wants to prove they’ve been there, done that and got the t-shirt. Or, equally, as a gift for jargon-loving colleagues. The range is available to purchase on request by emailing theteam@munchpr.com. Each shirt is £15.50 including UK delivery, and proceeds from the collection of ten tees will be donated to Hackney Giving, a project hosted by Hackney CVS that allows local businesses, corporate companies and residents to donate money to local community projects.